You don’t have to sacrifice speed and comfort over security when you protect your data with Ashampoo Anti-Virus. With powerful automated real-time protection and frequent updates, Ashampoo Anti-Virus offers reliable protection against all common Internet security threats, known and unknown. And it does so in a very discrete and unobtrusive manner without restricting your freedom of use. Once installed, you don’t have to configure Ashampoo Anti-Virus. Sophistcated real-time protection including our powerful behavior blocker comes right out of the box. Simply install and forget. 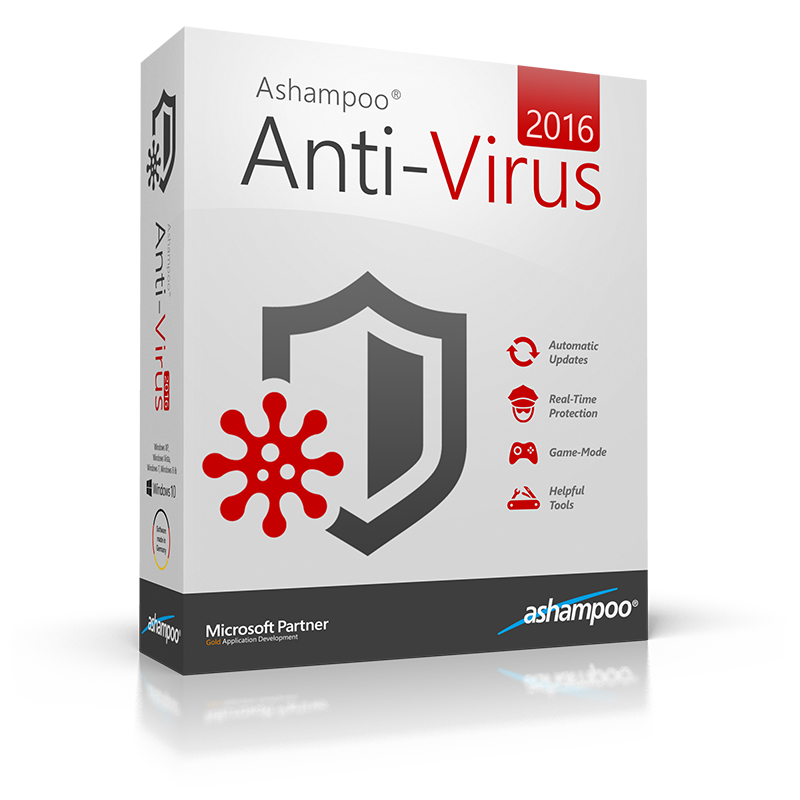 Ashampoo Anti-Virus offers strong real-time protection against virus, trojan, spyware and other security threats to prevent attacks as they happen. But Ashampoo Anti-Virus does not sacrifice speed over security. Where other solutions will slow down your computer, Ashampoo Anti-Virus manages to stay lightweight and take up very little resources. Despite sophisticated technology, Ashampoo Anti-Virus is surprisingly simple to use. It was specifically designed to restrict the need for user interaction to a minimum. Think of Ashampoo Anti-Virus as a highly-skilled bodyguard that autonomously handles dangerous situations with as little user intervention as possible. With daily signature updates, your Ashampoo Anti-Virus is always ready to detect and neutralize both old and new threats. And best of all, updates happen fully automatically. Don’t sacrifice speed and comfort over security. Protect your data with Ashampoo Anti-Virus. On-Access Guard: Neutralises infection attempts during file operations. In my opinion, good antivirus software comes from companies focused on making security software like AVAST, ESET and Kaspersky. With this in mind, you can guess that I was a bit pessimistic when trying out Ashampoo Antivirus 2016. Everything looks neat and professional. Ashampoo have been in the software development arena for long enough to know that first impressions matter. Ashampoo Antivirus 2016 has a neat layout and you won’t find it hard to scan your computer or configure the automatic scans and protections. But how well does it actually perform against real malware. Since there were no 3rd party test results online, I turned to my VM, installed the antivirus and gave it a some malware to fight. Here is what I found out. Even though I prefer an antivirus that scans and identifies malware before execution, the fact that Ashampoo had no problem in blocking malware every moment I tried to open it is quite impressive. The only disturbing this is the antivirus will let the malware lie till you try to execute and will just block it rather than quarantine or delete it. Unlike most of the antivirus that comes with the sensible native choice of quarantine or delete, Ashampoo lets you choose what to do with malware or infected files. You can quarantine, block, delete or do nothing. This is quite the flexible options especially to people who use software cracks and exploits. The most impressive thing about Ashampoo Antivirus 2016 is its ability to block malicious or blacklisted URL. I had a sample of 80 blacklisted URLs known to host malicious exploits on the web. The antivirus gave me a reliable 88 percent protection. Not so good but better than nothing. The malicious behavior suite checks any application or process that does unusual things. For instance, multiple connections to malicious servers might trigger a warning. A chat app trying to use the wrong port or alter the wrong registry will also be flagged. There are many settings to toy with before you can make the Ashampoo Antivirus 2016 the perfect protection for you. You might also have to run it beside another dedicated malware scanner or internet security suite to get maximum protection. 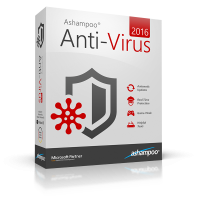 Ashampoo Antivirus 2016 is a good attempt. It will work fine if you know how to configure it properly and what to use when sealing a couple of loopholes it leaves exposed. It isn’t a perfect install and use antivirus.